There is usualy a need to get a device type, brand, model, operating system, frequency bands, display size and other characteristics for mobile device from IMEI number for different purposes (user phone type analysis, user phone operating system analysis for different applications platform, device detection tool, marketing campaigns, device type restrictions for data traffic included in bundles) it is important to get information about users device used in network. Here is a list of some anti-theft, tracking, locating software for mobile phones which works on different platforms, some of them are FREE and some are commercial. Changing IMEI number is problematic in most countries, because it is in conflict with the law. It is the same as if you wanted to change the serial number of your car. If they catch you doing this you can go to jail. 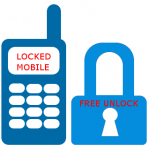 IMEI blacklist is a list of IMEI numbers which were reported to operator as stolen or lost. Operatorshas access to EIR (Equipment Identity Register) and if your phone is listed in this registry you can not use you mobile anymore in this operators network. One of the lists can be found on stolen phones, lost phones database. How could you know that the phone is blacklisted? or if nothing from above messages, then you will not be able to make an outgoing phone call. You will hear some beeps and then call will be dropped. IMEI number is structured by the BABT. It has 15 decimal digits. Actualy it has 14 digits plus a check digit. The structure of the IMEI is specified in 3GPP TS 23.003. First 8 digits of IMEI number are TAC (Type Allocation Code) which will give you the mobile phone brand and model. Other 7 digits are defined by manufacturer (6 are serial number and 1 is check digit). 15th or the last number of the IMEI is a check digit calculated using the Luhn algorithm. The Check Digit is calculated according to Luhn formula. The Check Digit is calculated of all other digits in the IMEI. The purpose of the Check Digit is to help guard against the possibility of incorrect entries to the CEIR and EIR equipment. Why is IMEI number important?